Our Classes are themed around our story or song of the week and include many activities, singing, dancing, signing (bsl), exploring instruments, bubbles, parachute, stories, messy play, crafts and mark making (hand and footprints). All classes stimulate their little minds and bodies and strengthen bonds between care givers and child. Classes are paid termly, £4.50 per class, which includes all craft and messy play activities. There is a £1.50 discount for siblings when paying for the term. We do not charge for siblings under the age of 4 months, so no one needs to miss out on the fun. Enables children to build a strong relationship between bodies and brains. Developing their awareness of speech patterns through songs, rhymes and stories and Messy play stimulates your child's creativity and social interaction. High Energy class which is fun and engaging. Children need to be steady on their feet for this class as we develop movement and coordination. Music, dance, signing, stories, props, instruments, messy play & crafts, puppets and lots more. This class positively encourages new experiences. 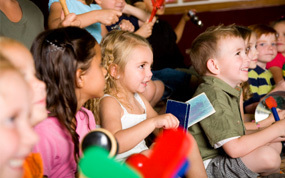 Children develop speech, concentration, listening and sharing skills through the use of well-known songs, rhymes and stories. Specifically designed for 3-4 year olds starting in the next school year. 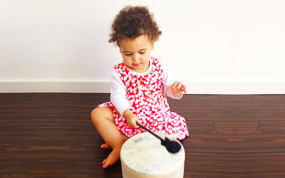 "Rhythmics" is a new program which focus' on Phonics and repetition along with stories, music, dance, crafts and play. The class is designed to be delivered in small groups of 8 to prepare your child in starting school with the support of their adult care giver. A class for everyone. We know how hard it is when you go back to work or if you work shifts so we have created a Saturday class for all to attend. This is a high energy class with all the same Rhythmicality elements and activities. This class is predominantly about having fun and sharing new experiences, strengthening bonds whilst learning. In classes we use BSL to sign our stories, songs and rhymes. All staff possess a current enhanced Criminal Records Bureau disclosure. Rhythmicality has £10 million Public Liability. All classes are 45 minutes long and are run term time. For our holiday events and time table please see our Facebook and Twitter page for updates.